Both aspiring accountants and accounting professionals know that continuing their education will help their career. 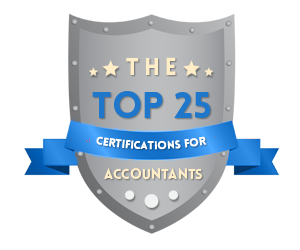 In this article we discuss the best accounting certifications, how they can help you, and how to obtain a an accounting certificate quickly and affordably. Let’s review each one and see if they are right for your career. Both small businesses and large multinational corporations will require the help of skilled CPAs. As a Certified Public Accountant you will be responsible for maintaining the competitive edge of your company by ensuring financial integrity. From tax planning and investment consulting to risk management and account analysis your cpa certification skills will constantly be put to use. While requirements differ from state to state in general you must hold a bachelor’s degree in finance or accounting before you can become a CPA. This accounting certification is almost one of the most difficult to get. Individuals seeking to become CPAs have to pass four different exams over the course of 18 months. Jobs for CPAs and all other accountants and auditors are expected to grow by 13% from 2012 – 2022. This is because during the Internet wave of the mid-1990’s and early 2000’s many would-be accounting students opted for IT majors instead. This means as more and more older CPAs retire, younger replacements will be needed. For those interested, there are a variety of ways in which an accountant can acquire the specialized CPA certification training, including both on-campus and online cpa programs. If you are looking to expand your career potential a CMA certification will most help. To qualify for this certification you must hold a bachelor’s degree and have been involved in management accounting for at least 2 years. After meeting these qualifications you must pass a $700 two-part exam, taking both parts within a year of each other. On average, CMAs make one-third more money than their non-certified peers. According to hiring managers there are two CPAs for every one CMA. Due to this fact a CMA may help to distinguish your resume from the pack. The CIA certification is the only globally accepted accounting certificate for internal auditors. For individuals interested in the accounting disciple of internal auditing, a CIA license is the way to demonstrate their competency. By obtaining your CIA designation you prove your professionalism and ability to serve as a key player within your organization. CIAs provide objective assessments on the overall efficiency of a company’s operations. A CIA helps an organization by improving the effectiveness of its governance and risk management processes. However, depending on the organization a CIAs role can also include financial reporting and fraud detection. You must hold a post-secondary degree or higher to be eligible to take the CIA exam. This computer-based exam is offered in well over a dozen different languages, this gives students from all across the world to opportunity to better develop their knowledge of best practices within the accounting industry. Exam prices range from as low as $50 upwards of $250 per test. This exclusive certification dates back to the 19th century Civil Ware era. An EA is a federally certified taxation expert. By holding this license you will have unlimited rights to represent clients before the IRS. If you’re not a former IRS employee with at least five-years of experience you will be required to pass a tax code exam and exhibit knowledge of all federal regulations and guidelines. Unlike attorneys or other professionals who may preform tax services, EAs are the only federally licensed taxation specialist. Because of this if you have a vested interest in American taxation the Enrolled Agent certification may be beneficial to your future. 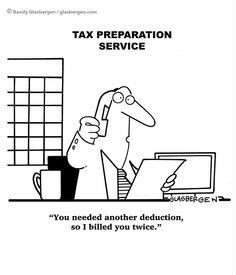 Please understand that while EAs do have the right to act on a client’s behalf regarding tax issues they aren’t the same as tax attorneys. If for some reason someone is required to go on trial, EAs aren’t legally permitted to represent them. Instead, when criminal charges are involved a qualified tax attorney is required. While a CPB certification isn’t required to become a bookkeeper this license helps to distinguish you as a nationally accredited service provider. By passing your CPB certification exam you will prove to your clients that their bookkeeping is based on ethics and experience. To be eligible to take this four-part exam you will need a two-year or four-year degree however, individuals with more than four thousand hours of bookkeeping experience are exempt from this requirement. The National Institute of Internal Auditors considers the CGAP an excellent professional credential that prepares you to be competitive in this demanding field. Whether you’d like a promotion or another advancement opportunity the CGAP certification may be the right choice for you. By passing this challenging exam you provide yourself with an opportunity to increase you earnings by upwards of 30%. 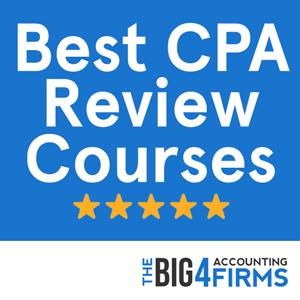 The amount of work required to successfully pass this exam is sure to greatly enhance your accounting skills and knowledge. This new skillset is often met with the admiration and respect of your colleagues in the field. This exam is available year round at official Pearson VUE testing centers worldwide. Perhaps technically inclined individuals will be interested in pursuing a CISA license. If you’re looking to distinguish yourself, becoming CISA certified is sure to display your IT auditing knowledge to potential employers. To be a candidate you must have at least five-years of professional experience and be committed to taking 20 hours worth of CISA courses every year. The CISA exams are somewhat expensive, starting around $500 for nonmembers. Despite the testing format not being much different from other certification programs the CISA has a reputation for being difficult. 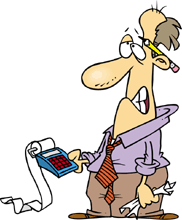 Like many jobs within the accounting and IT fields there are always openings available for very talented individuals. The CISA certainly helps to portray you in such a light. As technology becomes interlaced into our lives more and more, there is expected to be a jump in the number of CISA positions. While many certifications are available for financial professionals the CBA certification is the industry standard for bank auditors. This certification tests potential candidates in banking specific areas such as bank law and auditing regulations. Your main job will be to constantly ensure that the financial institution that you represent is following federal as well as internal guidelines. Bank auditors are usually required to hold at least a bachelor’s degree in accounting or a related field. Due to the nature of their work, CBAs must have an eye for detail as well as superb communication and organizational skills. It is not uncommon for top-tier CBAs to take home six-figures per year. 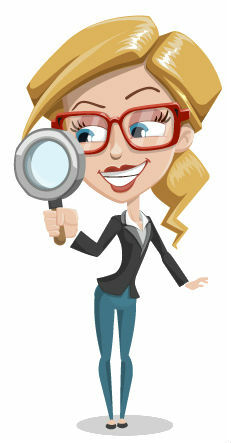 Forensic experts are needed in almost every field imaginable; the same is true for accounting. A CFF performs investigations, inspections, and examination or another forms of analysis to obtain answers or give an opinion. Individuals seeking financial forensics work may also want to look up the Certified Forensic Accountant program (Cr.FA). This is another type of forensic accounting certificate, which might fit some student better depending upon need. Combating fraud is often written into the job description of most accounting professionals. Despite this if you find that you have a knack for spotting fraudulent activate a CFE certification may be exactly what you need. A CFE is trained to not only discover fraud but also why fraud occurs. Due to the nature of their work CFEs are considered to be of high moral character. Because CFEs are specifically trained to spot fraud they have the potential to save a company tens of thousands if not millions of dollars, which is why they are so valued by organizations. Like most accounting certifications, including accounting certificates online, the exact requirements differ from state to state. However, it is not unusual for a college degree to be required to take the exam. The $350 test will prove that you are up-to-date on the latest and best practices within the accounting fraud industry. A CPP certification demonstrates your skills and knowledge in the payroll field. This credential is granted by the American Payroll Association, which has been around since the 1980’s. After its initial launch the CPP quickly became the industry standard certification for payroll professionals. The price for this exam is usually in the $370 – $425 range and can be take at any Person VUE location worldwide. According to its official website, the CBA distinction grants its associates special prestige and recognition worldwide. By receiving this accolade you will demonstrate that you have knowledge only held by the most accomplished business appraisers in the world. 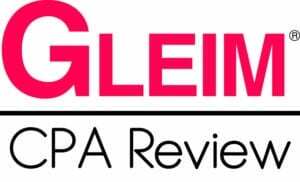 This achievement is one of the best, if not the best when it comes to business appraisal professionals. With this certification clients and potential employers can grant full confidence in your skills and abilities. To be eligible for this exam you must first possess a four-year college diploma. After meeting this requirement you’ll need to become a member of IBA, the official governing body of the CBA license. Lastly, you are required to take and pass a $595 five-hour written exam. Depending on several circumstances a CBA can either work as an in-house appraiser or a consultant. For in-house appraisers the salary unusually averages out to be roughly $70,000 per year. Consultants, which are self-employed can make as much mid to high six figures per year, depending on several variables. Achievers of the CCE license are capable of executive level credit management functions. This achievement created by the National Association of Credit Management is the highest certification available to those who want to demonstrate their credit management proficiency. To obtain a CCE license you must first graduate from a four-year college. After satisfying this requirement you must gain ten-years of financial management experience and pass a four-hour written exam. CCEs must re-certify every three-years. Over the course of the three-year gap a minimum of six recertification points must be accumulated. These points can be earned by participating in a wide range of projects. Attending seminars and conferences, serving as a presenter or panelist or teaching business credit related courses all count towards your points. Individuals interested in technology may consider becoming a CISM. Your main job will be to oversee the information security duties of your enterprise. Day to day task include everything from system access control management to physical network security. As more and more critical business applications go online, more CISMs will be needed to safeguard company assets. Hackers, both foreign and domestic have targeted a vast majority of Fortune 500 companies. Because of these ever-present threats CISMs are expected to be relevant for the foreseeable future. You are required to have a minimum of five years worth of information security work under your belt before they are eligible to take the exam. You must also be committed to a minimum of 20 hours per year of continued education in order to maintain this certification. When it comes to risk management professionals there is no award more prestigious than the CRP certification. 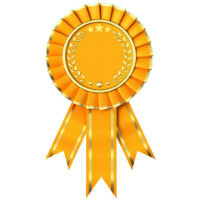 This award was developed to recognize individuals seeking accreditation as risk management experts. If you’re looking to go into public accounting and are specifically interested in working with small to medium sized businesses or providing private financial services, this may be the right certification for you. To qualify, you need to hold three years of professional experience (two of which may be satisfied through college credit). You also have to achieve a minimum score of 70% on the two-part ABA exam. This certification is offered by the Accreditation Council for Accountancy and Taxation. While it only qualifies you for practicing public accountancy in a minority of states (Delaware, Iowa and Minnesota), the ABA certification can give you a competitive edge and even lead to a salary increase. The CQA certification offered by ASQ is specifically designed for dedicated audit professionals and can enhance your salary and career prospects. Eligibility criteria for this certification are strict: at least 8 years of full-time paid work experience are required, with three years in a decision-making position. A higher degree from an accredited school may be used to waive up to five years (for a Master’s degree or PhD). Candidates need to pass a 150-question exam based on a relevant body of knowledge in order to be awarded a CQA certificate. The ATA designation is awarded by ACAT to competent practitioners whose expertise includes delicate tax planning and tax consulting issues. To earn this accreditation, you must pass the ATA examination. You also need to acquire five years of experience in tax preparation, planning, consulting and compliance, with 40% of this experience in the fields of tax planning and consulting. Bear in mind that for the purposes of this qualification a tax season (January to April) counts as one year. ATP is yet another ACAT-offered credential for tax practitioners. This qualification focuses on tax preparation and requires three years of work experience in tax preparation, two of which may be waived if the candidate holds equivalent college credits. Applicants also need to score 70% or better on the ATP examination. 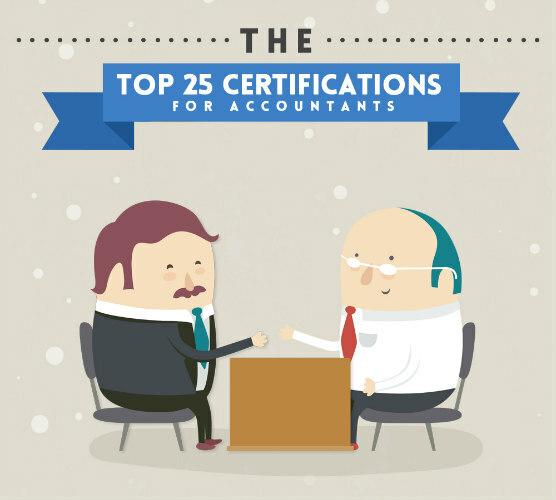 There are many more certifications for the business world than just for accountants. If you’re interested in going into business or finance and not particularly interested in going into accounting, You should check out this list of the best finance certifications. These programs will help you start your career finance and climb the corporate ladder. What do Firms think of Associate Degrees?